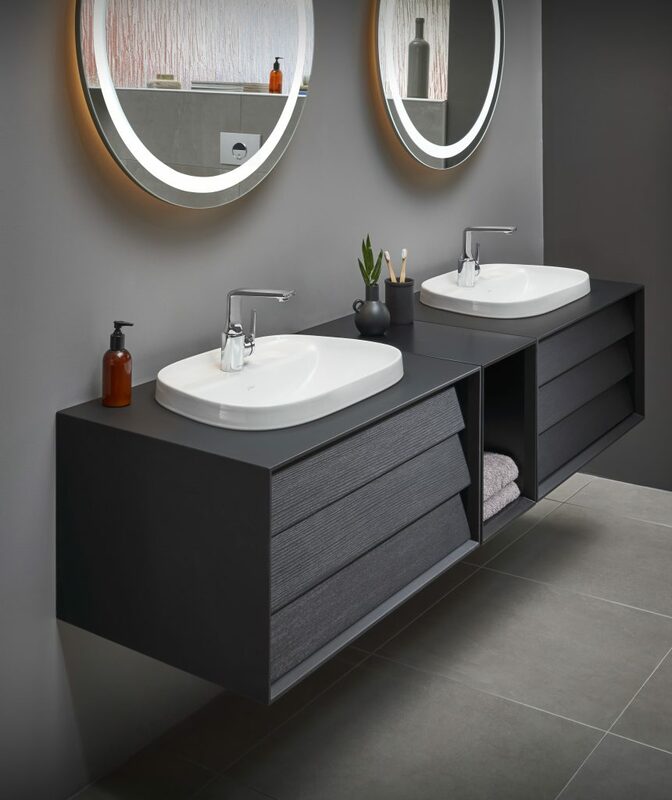 We have another exciting furniture range from VitrA now live on the UK Bathrooms website! 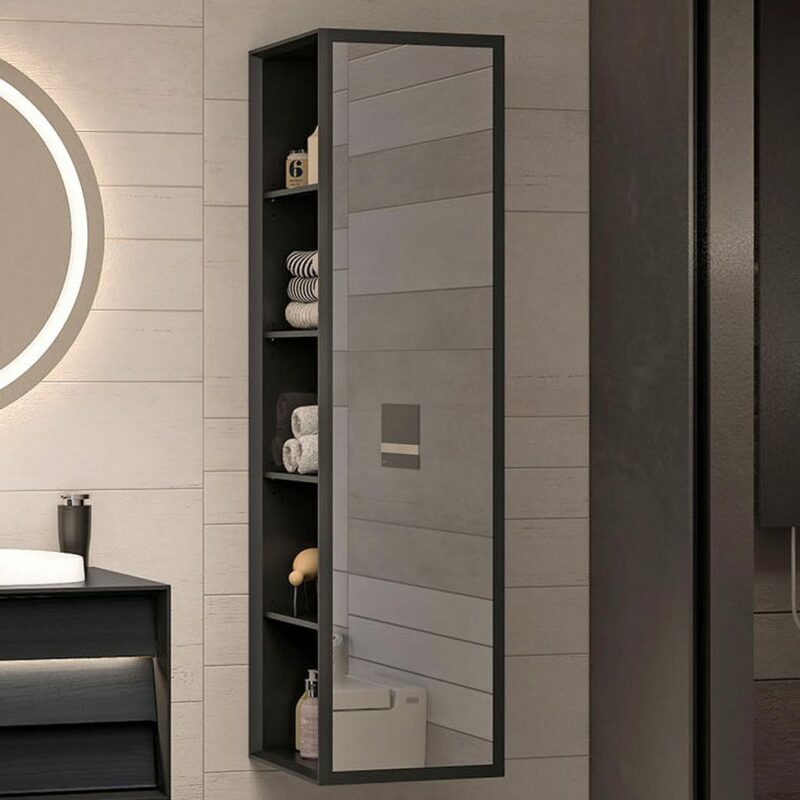 The iconic and eye-catching feature of the Frame range is the louvered drawer design. 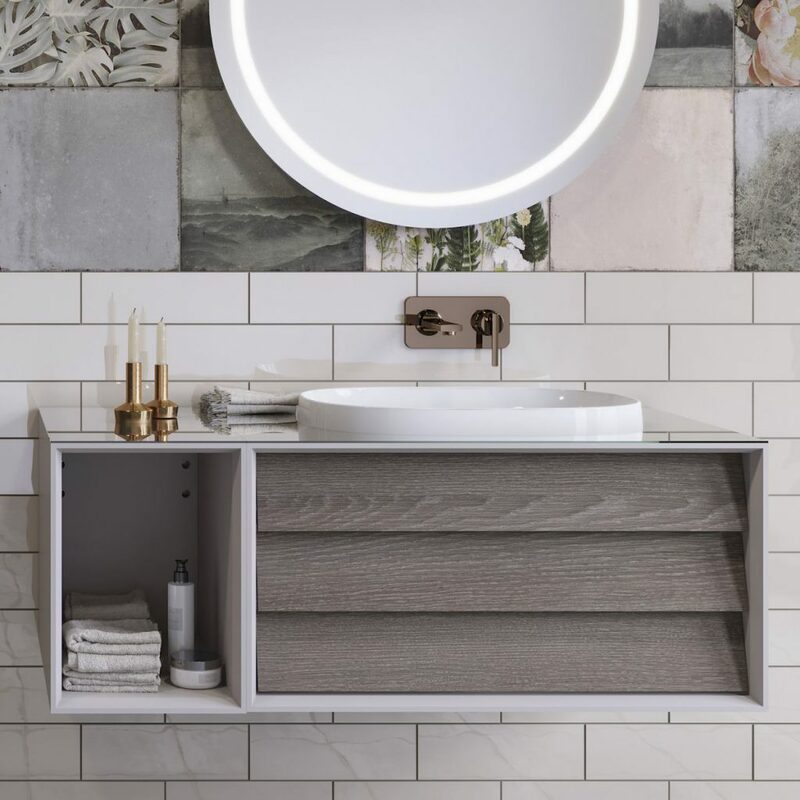 Create a statement in your bathroom with VitrA Frame furniture. 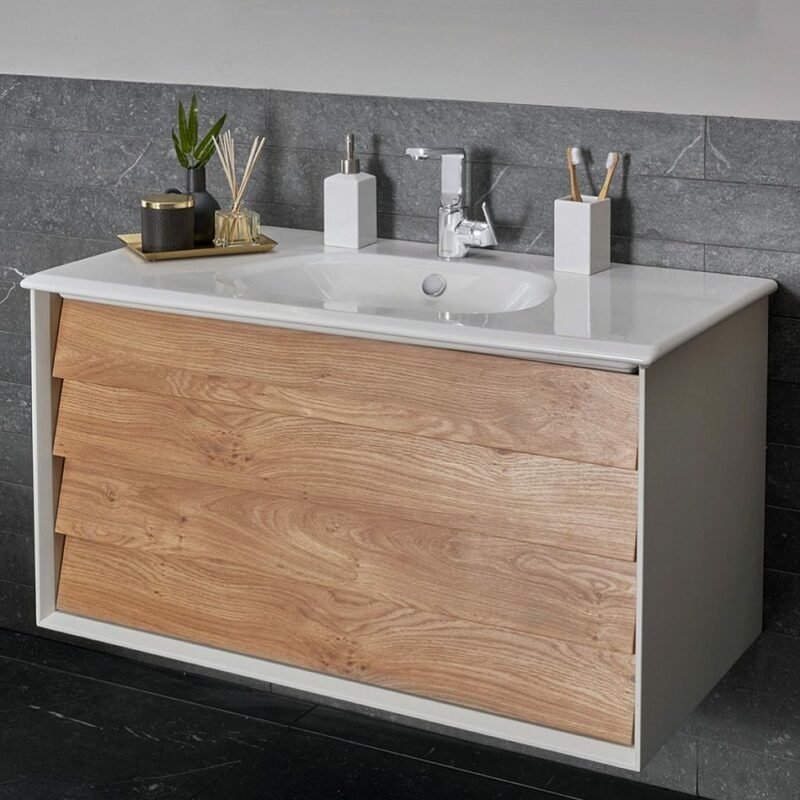 The vanity unit is available in 4 different sizes, 60cm, 80cm, 100cm and 120cm. Also, you can select either a one-drawer version or two-drawer version. 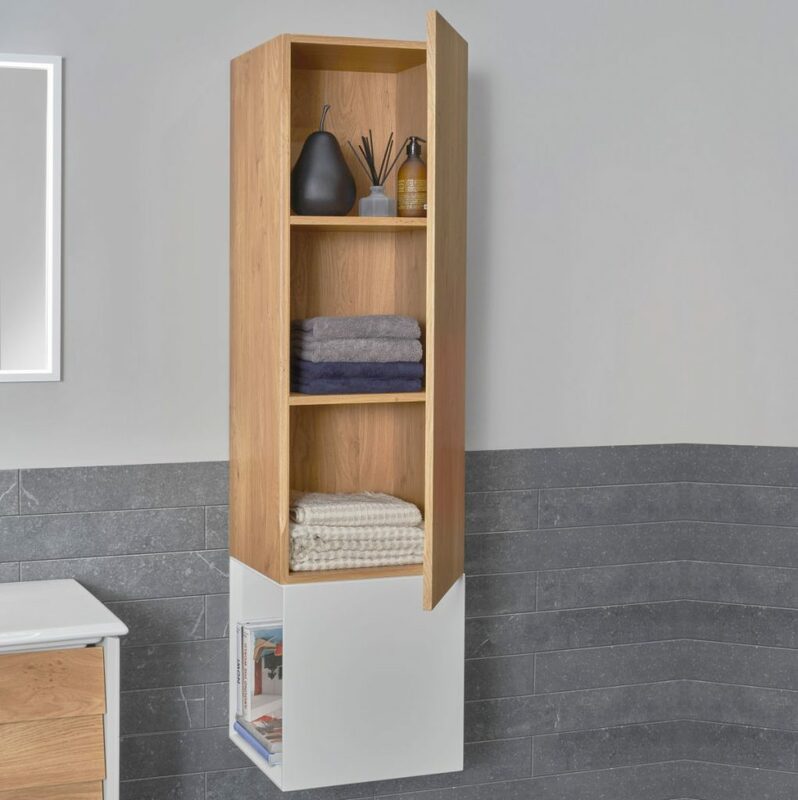 You can also add an open wall unit to extend the surface and storage space for your bathroom. 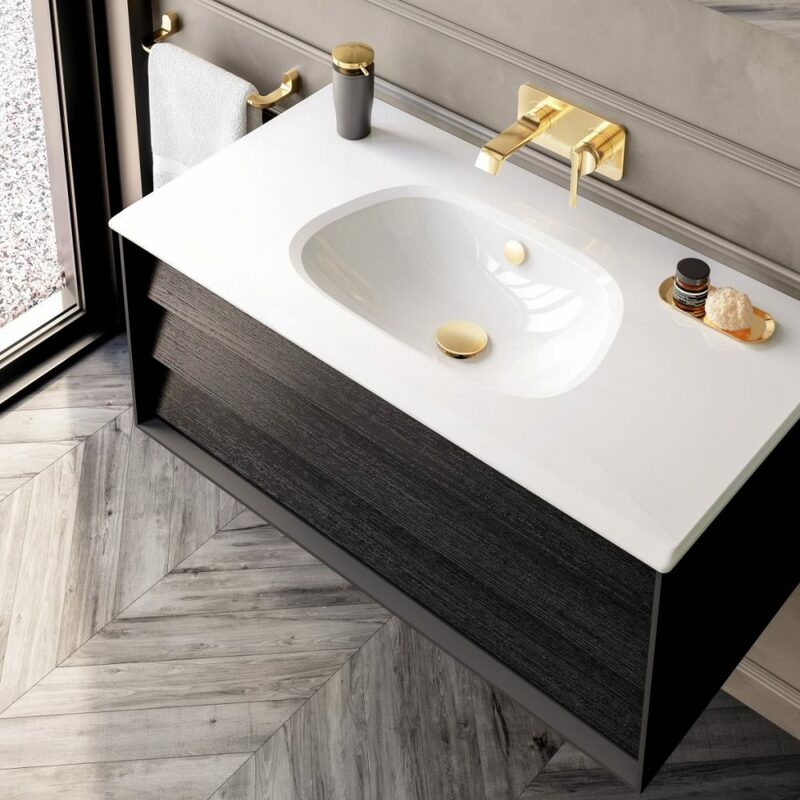 Pair your vanity unit either with a basin or a bowl. You can select either patterned black oak, mocha oak or dore oak on your VitrA Frame furniture. 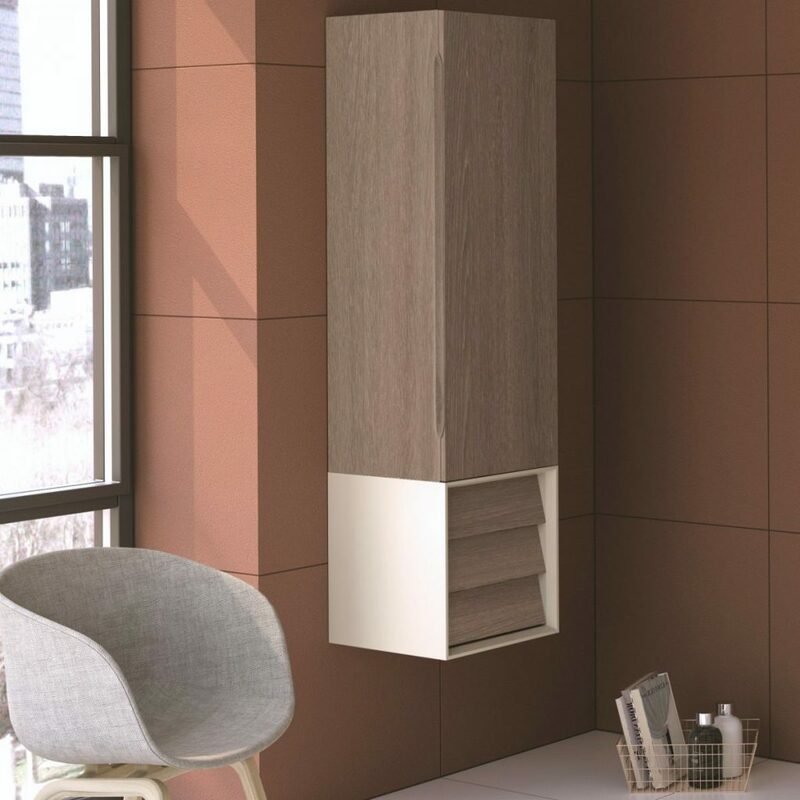 The VitrA tall unit offers 3 different styles for you to pair with other furniture. 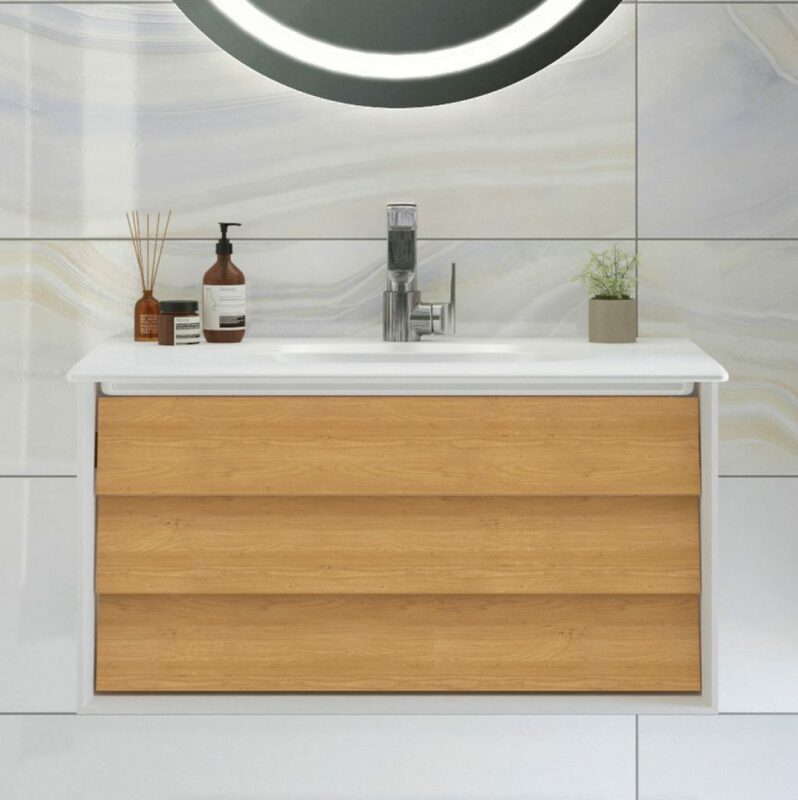 The first two tall units are available in exactly the same 3 colours of the vanity unit. Thanks to the simply chic design, it combines a contemporary style that will remain timeless. Maintaining the louvered look with this tall unit. With the full-length mirror front, you will be able to check over your appearance. 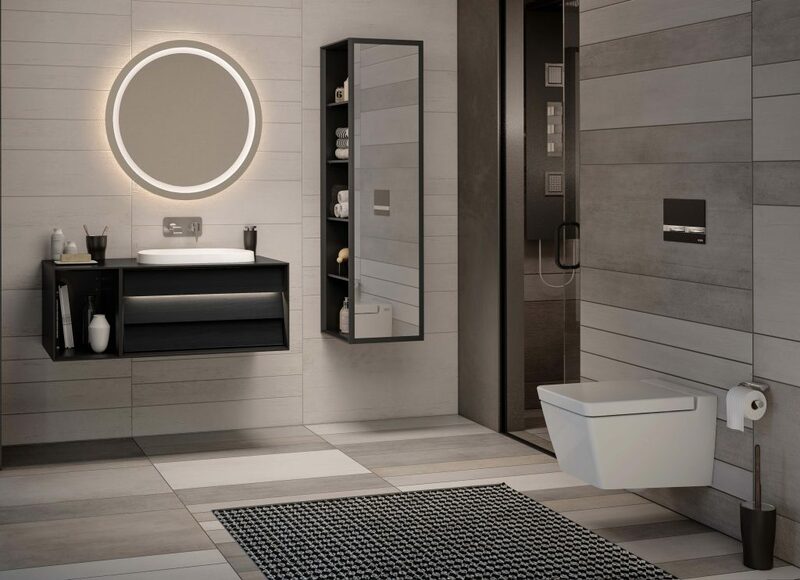 Furthermore, large mirrored surfaces will improve the feeling of space and light in your bathroom. 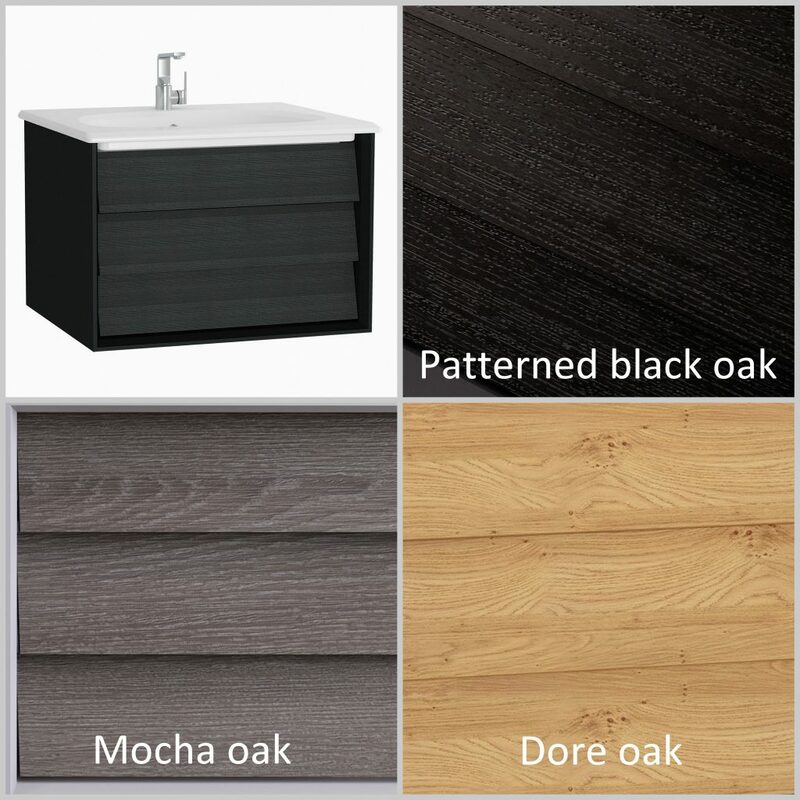 Choose from matt black, matt taupe and matt white. How about creating his and hers double basins? 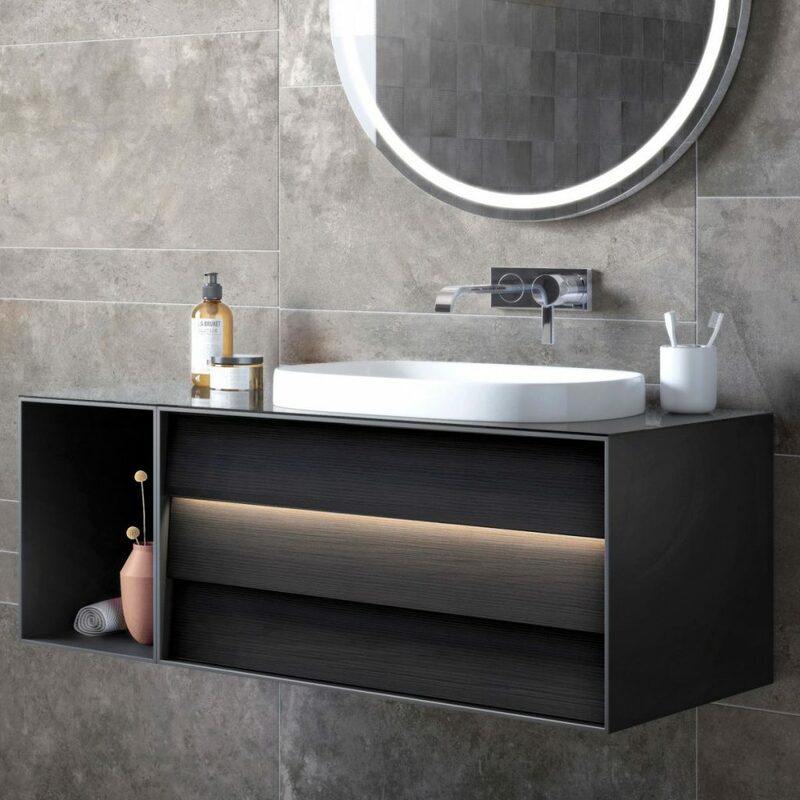 You can even combine two vanity units together with an open wall unit. Or be creative, mix and match the furniture to whatever set out that suit you.